Colour is the first thing people will notice about your Brand or Product. Institute of Colour research studies have shown that 90% of snap judgements are influenced by colour alone. Colour is a powerful part of design and branding. Affecting perception and how people feel. 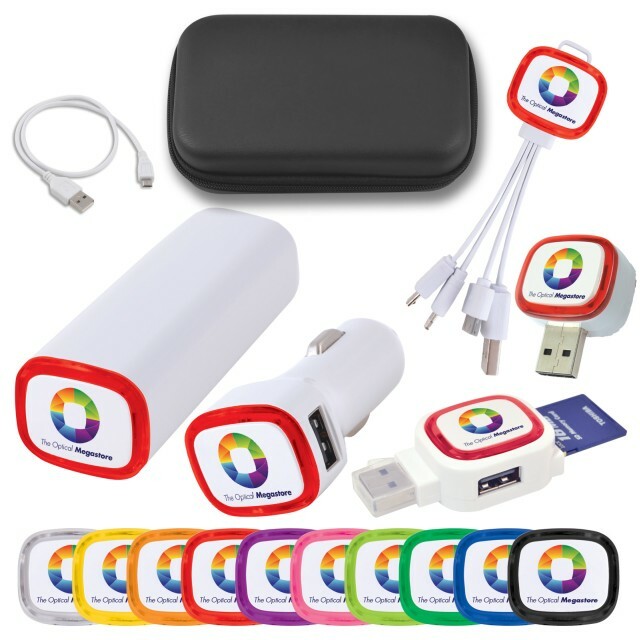 Vivid Promotion’s Shop By Colour Category allows you to narrow down promotional items that are the colour you wish to choose for your merchandise! We have a bunch of products to give you some ideas and we have many more options throughout the website. Choosing your promotional merchandise by colour allows you to colour co-ordinate all of your goods and print the same logo on each item. 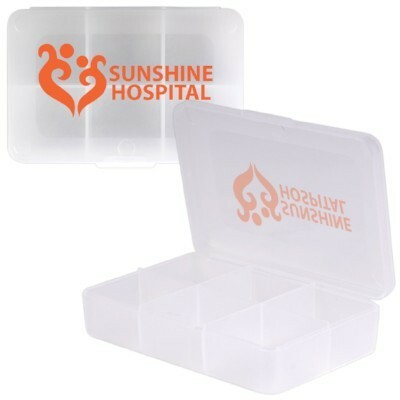 Custom Branded Purple Promotional Products include PVC Organiser Pouches, Lip Balms, Coin Banks, Embroidered Caps and more. 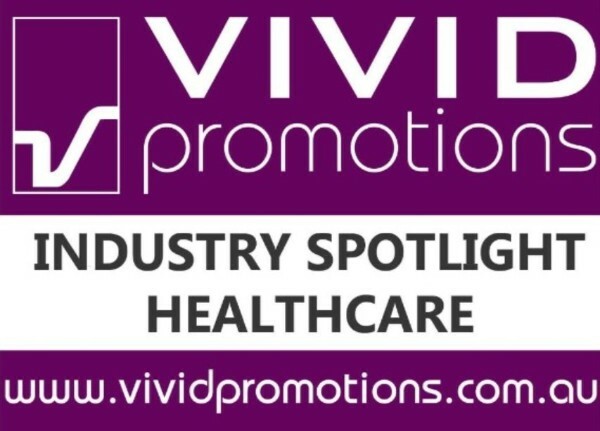 If your company colour is predominantly purple then Vivid Promotions will have the products for you! All of our Purple Products can be branded with your logo in one way or another and will generate great brand exposure. 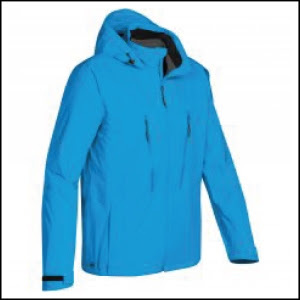 Vivid Promotions has Blue Promotional Products including Caps, Balloons, Bottle Openers, Scarves and Tote Bags. Blue Promotional Products are ideal for government organisations, police departments, sports teams and more. Grab attention of window shoppers. Make your next event really stand out with Vivid Promotions’ Yellow Promotional Products. Yellow gift ideas include Balloons, Yellow Stress Toys, Printed Magnets, Shopping Bags, Pencils and more. Yellow Products are a great backdrop for black and dark coloured logos as the bright yellow colour really makes it pop! Choose a range of Yellow Merchandise items for your next school fete, summer concert merchandise, gifts with purchases or a brand launch. 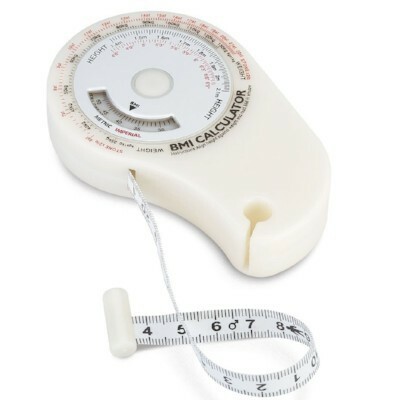 Often used in clearance sales. 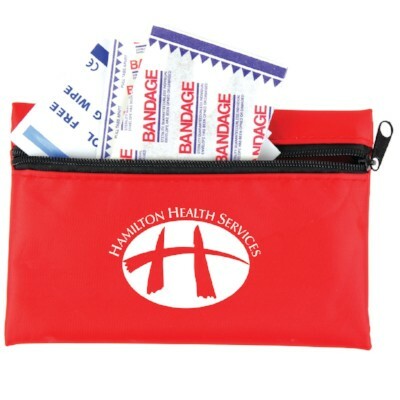 Perfect for Hospitals and medical companies are our bright Red Promotional Products! Check out our handy first aid kits, Red Balloons, Ceramic Coffee Mugs and Bath Salts Jars. Not only are Red Products eye catching, they are also low in cost making them a great option for a wide range of School Events, Fundraisers and Government programs. If you’re after Green Promotional Products then our selection of Green Stubby Coolers, Balloons, Backsacks, Calculators and Eco Pens should do the trick. Green Merchandise is perfect for Eco Friendly and Outdoor Promotions, summer events and Zoo’s. We also have a wide range of Pink Promotional Products which are great for women’s events and fundraisers. Check out our Pink Bags, Piggy Banks, Body Lotion, Bucket Hats, Nail Files and Votive Candles. As more and more people become increasingly aware and concerned about environmental issues with the desire to live with more sustainability, they are progressively ready to respond to businesses and organisations who share their concerns. Offering genuine solutions and use appropriate green means to communicate with them. Eco products are produced from materials which have been reused or recycled, avoiding the use of non-renewable resources, or are produced by processes that result in significant environmental improvements on traditional manufacturing. The negative effects of product disposal is also decreasing with many products now available as biodegradable. Make your promotional mark with a practical and Eco-friendly giveaway your Eco-conscious customers will surely appreciate. 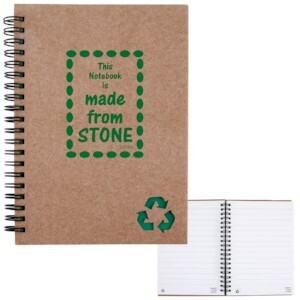 With 68 pages of lined paper and recycled cardboard cover, this customised Stone Paper Notebook is perfect for getting your brand and Eco-friendly message out to the market. Hemp Cap is the natural strength of hemp combined with the soft elasticity of cotton. Hemp is one of the oldest plants used by mankind. The environmental benefits of hemp cultivation are in stark contrast to that of most crops: It needs little or no use of fertilisers, insecticides, fungicides or herbicides to grow successfully, and actually improves soil quality. 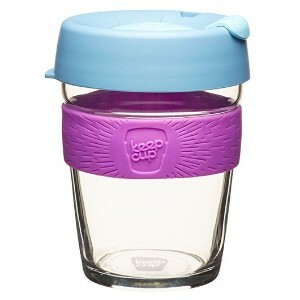 Made from tempered soda lime glass, KeepCup Brew Medium 12oz is designed for a premium beverage experience. Take the café experience with you at home, to work or on the move. The KeepCup Brew Medium 12oz is one of the most popular sizes in takeaway coffee environments. The internal volume would be similar to a large mug. This promotional Savannah Bamboo Pen is designed to promote your brand as well as the environment. 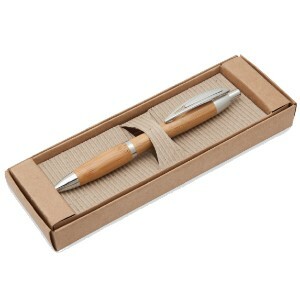 Crafted from bamboo, this eco-friendly writing tool makes an ideal gift for eco-related campaigns. Featuring contoured shape, this promo pen is super handy and comfy to handle. 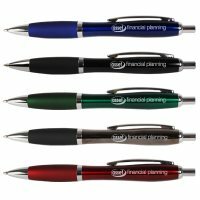 Have the Savannah Pen pad printed or laser engraved with your logo for a perfect corporate gift. 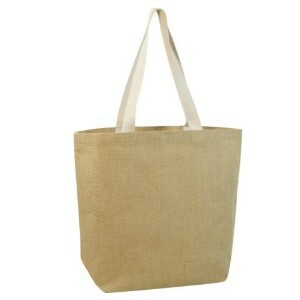 Before retail stores implement the new laws banning the use of plastic bags, be prepared with the Jute Shopping Bag made from 100% natural heavyweight materials and features reinforced handles. Jute is a completely biodegradable fibre. Jute is abundant in Southeast Asia and inexpensive to produce. What is Digital Printing for Promotional Products? What are some of the Advantages? What are other terms this method is also known as? How should the art files be provided? Much like your printer at home, but on a larger scale. Digital Printing is a method which eliminates the use of films and plates, and is extremely effective for printing promotional products. Especially in the use of media such as paper, vinyl and magnetic material. What do some of the Products look like? Microfibre Lens Cloth in 4CP Digital Card is superior 215gsm high quality custom design microfibre lens cloth packed inside custom design 4CP Digital, 2 sided marketing card. Full colour custom design lens cloth 1 side. Enjoy extra brand exposure at an affordable cost with this 3 in 1 Magnetic Photo Frame (145 x 180 x 0.5 mm). Perfect to display on the fridge or any magnetic surface, the promotional product includes two magnetic photo frames with an oval shaped magnet. Custom artwork with your logo and business details can be imprinted throughout the entire surface of the 3 in 1 Magnetic Photo Frame. 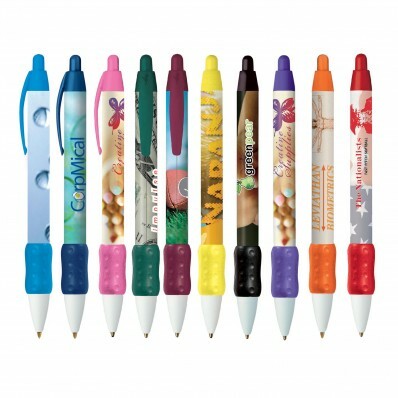 Cap off your next campaign with a bang with the custom BIC Digital Wide Body Colour Grip Pen. Boasting a generous print area and full imprint customization, the promotional product makes the perfect giveaway to show off your brand day in and day. Give it away at product launches and tradeshows for maximum impact. Hospitals, Clinics, Hospices and Aged Care Homes often distribute Stress Relievers, Pill Boxes and other fun and useful products to highlight their services. These items do a great job of reminding the patient about the healthcare provider. happy and positive impression with your valued staff this Christmas! Warm up with some coffee using your favourite customised Coffee Mug! Many different colours & sizes to choose from. 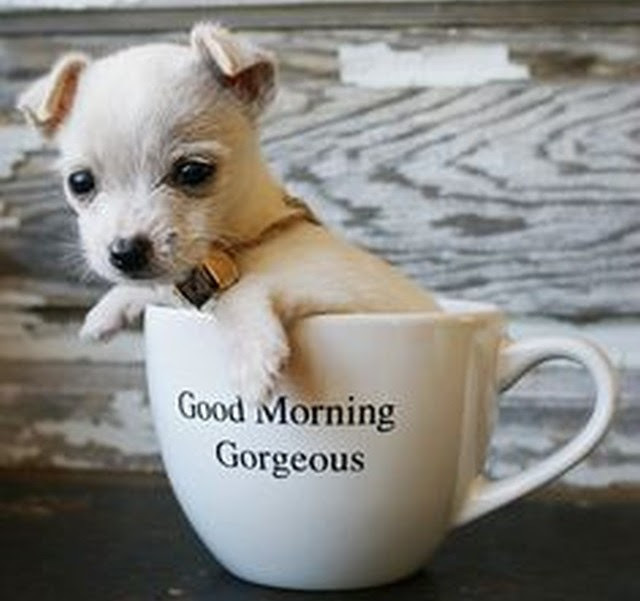 Click HERE to see our range of Promotional Coffee Mugs. 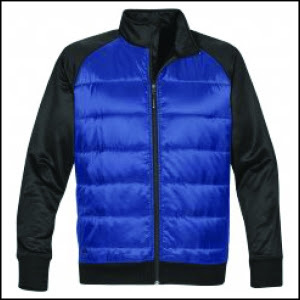 Vivid Promotions has a huge range of promotional outer wear to keep you warm this winter, including business jackets, vests, fleece jumpers, hoodies and sporty tracksuits. See our full range HERE. 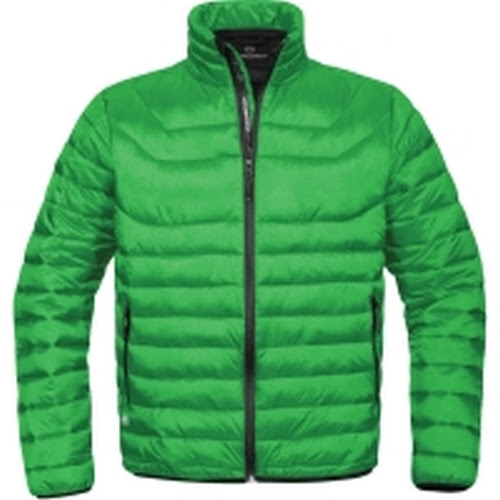 Add a promotional vest to your corporate uniform or outdoor clothing for some extra warmth. 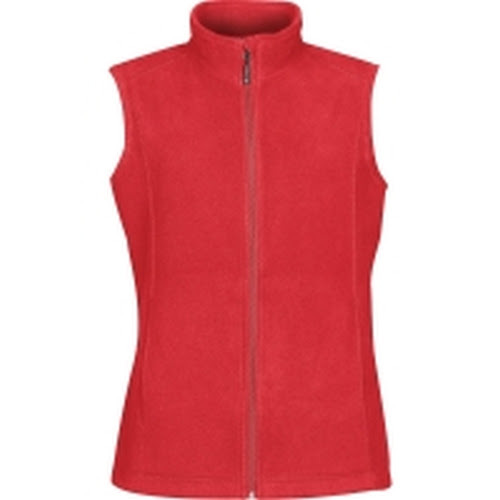 Great wet weather vests, knitted vests and fleece vests available. Click HERE to checkout our full range. Things are starting to cool down which means it's time to start getting ready for the winter months ahead. Not only can we supply you with Quality Products, our friendly sales team will help guide you towards selecting items that will provide a greater impact for your advertising dollar. Feel free to contact one of our friendly and experienced sales team members TODAY! 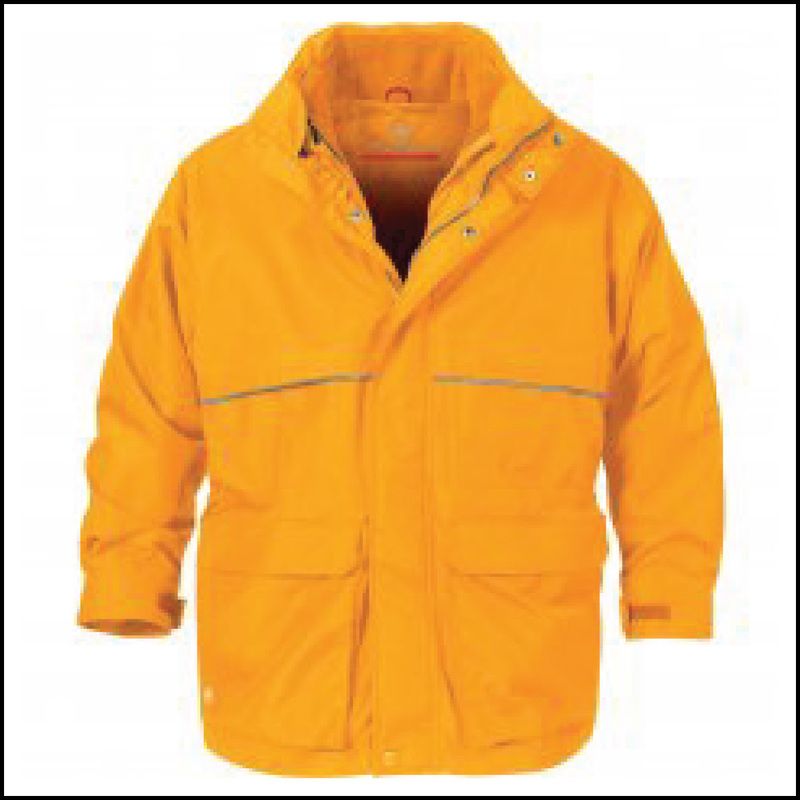 branding options for our Promotional Outerwear than can suit your business. 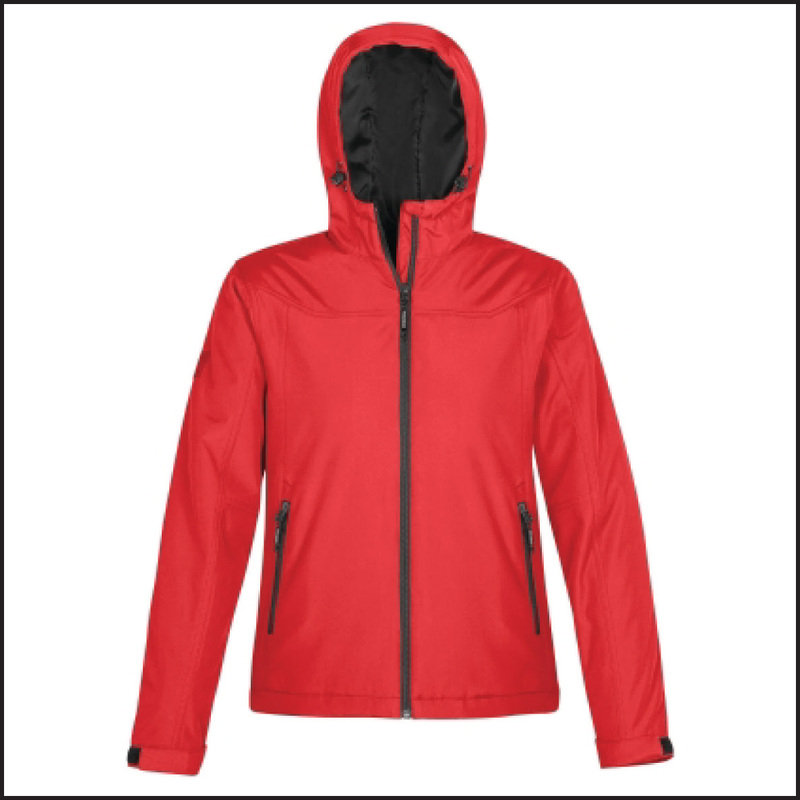 Womens Endurance Thermal Shell is engineered to keep you warm and dry in cold and wet weather, the coated thermal shell features high density thermal fill that provides a highly efficient barrier in cold temperatures. 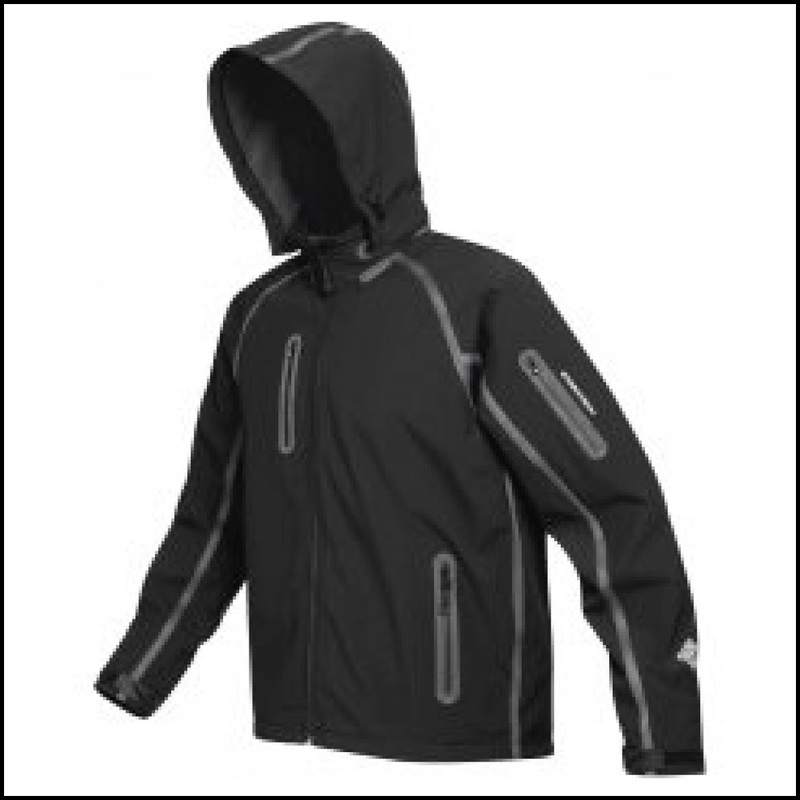 Men's Alpha Warm-Up Shell is quilted body panels with STORMTECH Thermal Shell Technology, this two-tone, full-zip, thermal jacket offers extra wide ribbed hem and cuffs for superior comfort and flexibility. Some last minute gift ideas that can be turned around in just 3-5 working days!! They can be customized with your logo or Christmas message to make great low cost gifts to hand out to clients and staff. 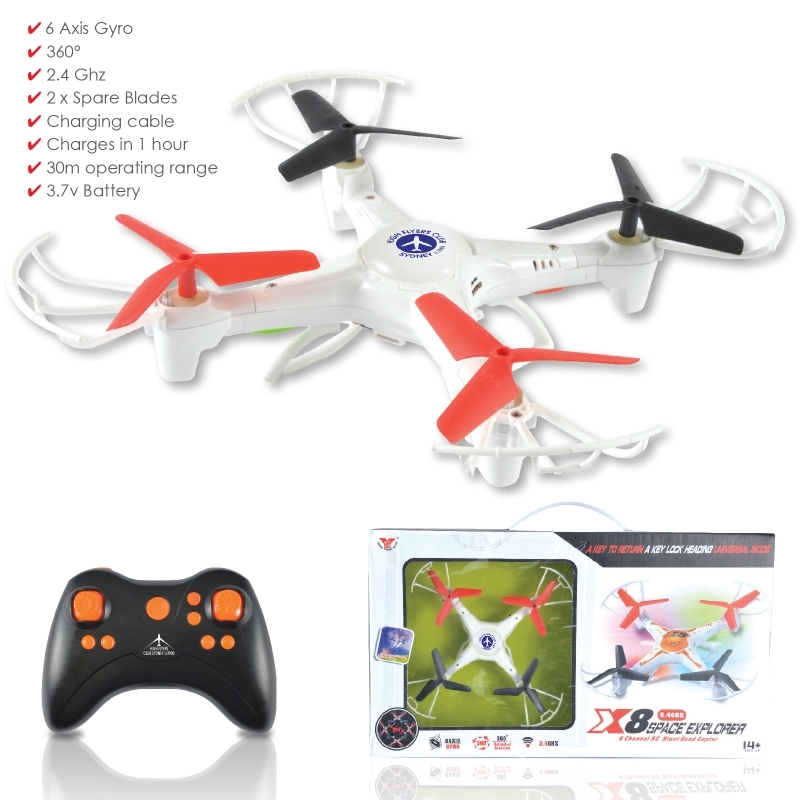 Give the gift of fun with this Promotional Maxi Quad Copter Drone. Guaranteed to bring hours of enjoyment while testing your piloting skills in the backyard. 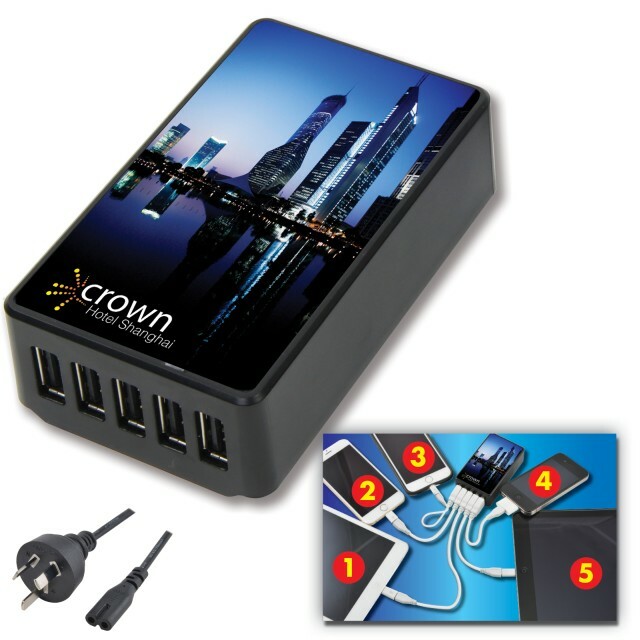 The 5 Port Wonder Wall Charger makes for a very thoughtful and useful X-mas gift. Perfect for work colleagues, family or friends. Featuring 5 USB ports allowing you to charge multiple mobile devices simultaneously. A must have for homes, offices, restaurants etc. Where charging multiple devices is required. The Family Light Up Gift Set is the ideal Xmas Gift that the whole family can enjoy. Including essential items that any tech-savvy family member shouldn't take for granted. What do Leatherman Tools and Action Sports have to do with each other? What do Leatherman Tools and Actions Sports have to do with each other? 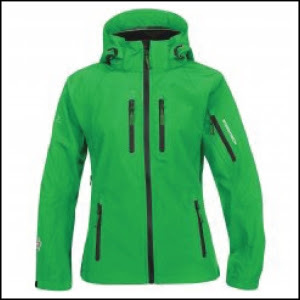 Well, when you’re using equipment such as any kind of board used for riding in the Snow, Surf or Street, you’re going to need equipment to customise & maintain it. That’s where Leatherman Tools come into the picture. Leatherman is a word wide known, High Quality brand of Multi Tool that has specifically designed tools made to suit almost every situation. When heading out to catch some waves don’t leave your house without a Thruster Surfboard Tool. You will find everything you need to customise your gear in one simple pocket-tool. Custom Engineered with the most essential tools in mind for both amateurs and pros alike! No need to head back to the garage and start digging through a messy tool box, looking for multiple tools required for tuning your skateboard when you have everything you need in the “Jam Skateboard Tool + Style PS”. Besides being extremely handy and versatile, the Jam Skateboard Tool is 100% Stainless Steel, weighs less than 50 gram and has a 25 Year Warranty. Equipped with Tools such as: Grip Tape File, Wrench, Headphone Storage, Carabiner, Spring-action Regular Pliers, Spring-action Wire Cutters, Scissors and many more! When heading to the slopes for some Snowboarding you’d be crazy not to be equipped with one of the Snowboard tools Leatherman has available. Portable and Lightweight, you will be able to give your board a quick tune up on the go to ensure maximum performance at all times. Leatherman teamed up with the guys from Signal Snowboards to come up with a few designs that were made for the mountains and life in general. Equipped with Tools such as: Scraper, Flat/Phillips Screwdriver, Lace Assist, Wrench, Needlenose & Regular Pliers, Tweezers and many more! The huge range of Leatherman Multi-Tools we have available at Vivid Promotions only just begins at the Action Sports Range. There is literally a Leatherman for almost every situation you can think of, and If you can’t find what you’re after, let us know and we’ll help you find it. What promotional product best suits your business? 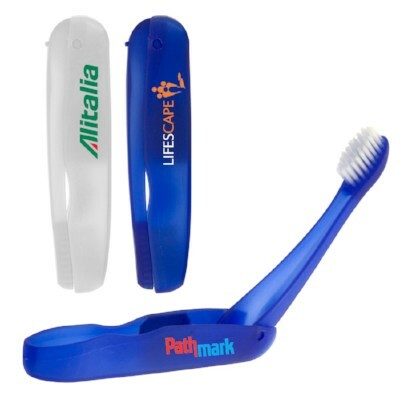 Fact - Using Promotional Merchandise is one of the most successful methods available to increase brand awareness. Let us help you source the perfect promotional product that best suits your industry, no matter how small or big it may be! We've made it really simple for you....just click on the yellow button which will open up your email program, and click send. One of our experienced staff will get in contact with you to discuss options best suited to you and your business...it's that simple. 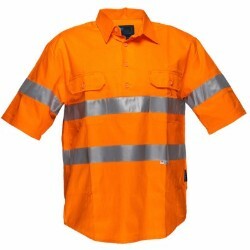 We have a huge selection of Hi-Vis workwear to suit all types of different Trades, Emergency Services, Warehouse workers etc. Our product range extends to all areas of the sporting & health industries, which makes sponsorship a great way to advertise! Place your companies logo in the hands of hundreds of potential customers using proven decoration techniques that really work! 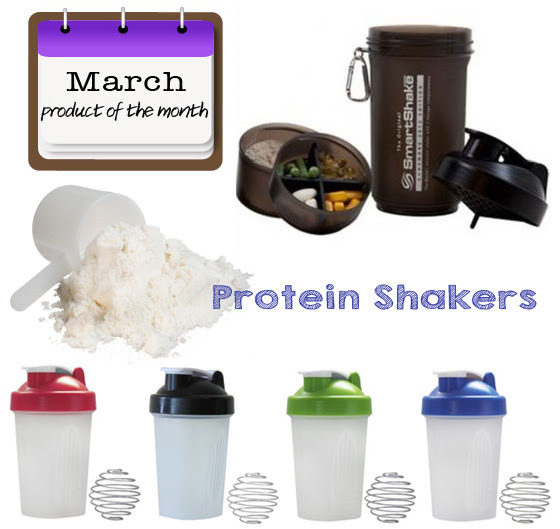 Purchase a Protein Shaker Bottle in the right size for your needs. We have smaller protein shakers for those only needing 250ml water + your favourite protein powder or supplement and larger Shakers for those who like to add more water and other ingredients to make the perfect shake. Opt for a Protein Shaker Bottle with a metal shaker ball for a smoother textured drink on the run. Shaker Bottles without the metal shaker balls are more suited to shakes that have already been blended before pouring into the bottle. Wash your Protein Shaker after each use. Hand washing is recommended so that you can get into all of the grooves in the lid and bottom of bottle, this cleaning method also ensures a longer lasting logo print. Other cool features include a wide mouth for easy pouring, secure screw top lid to avoid spills and handy measurement lines to ensure you have the correct water to powder ratio. Vivid Promotion's Protein Shaker Bottles are low cost products that are sure to get your brand out there. With various coloured lids available to match your logo and quick lead times on offer, be sure to order your personalised Protein Shakers today! 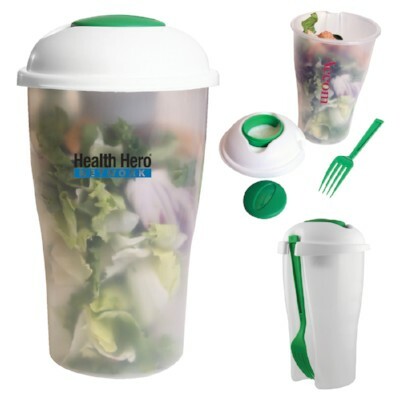 Made from BPA free plastic! I have my playlist on shflufe, but everytime I hear Stop Crying Your Heart Out by Oasis I get that extra motivation in my body and it helps me go harder for more reps.
items that can gain you excellent brand recognition as well as promote your company in a positive light. with transparent window and can be decorated with your choice of pad print or full colour digital print. a look at Vivid Promotion’s custom branded MP3 & MP4 Players. 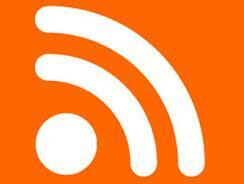 OK, 2 more questions Will you be puntitg up a list of retail vendors on the website? It would help people know who and what will be there.Also, what kind of security will be there during the overnight hours? Can we leave things in our tent overnight without worrying about theft? Thanks! Everyone is looking for a new and innovative way to get their message across and Vivid Promotions is the place to go! With new items continuously being added to our site, there's always something exciting for your next promotion or campaign. Choose from the below HOT products for a sizzling 2013! A RED HOT Promotional Product that is sure to grab your attention is our iPhone Bottle Opener Case! Featuring a slide out metal bottle opener, this protective iPhone Case is a great novelty item for all ages. Use to open an afternoon drink or soft drink bottle and promote your business logo at the same time! You can print on the case itself or engrave the slide out bottle opener to add a personal touch. Choose between a black or white case or a custom coloured case for offshore orders to match your company logo. Invest in a new and innovative Bottle Opener iPhone Case at a great price! Printed Fashion Sunnies are the latest product to hit the market! With a stylish wafer design similar to the famous Ray Ban Sunglasses, Vivid Promotions’ Branded Sunglasses come in a wide range of colours and can be printed on both arms. 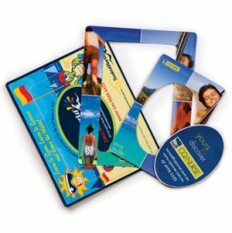 Perfect for outdoor and summer related events such as festivals, beach sports events, to hand out in trade show bags and more. Add that little something extra to your next promotion and personalise a pair of Retro Sunnies! Along with Promotional Bottled Water, Branded Vitamin Water is a hot new product that is sure to take the promotional world to a whole new level. With 3 fruity flavours to choose from, Vivid Promotions’ full colour labelled Vitamin Water can be custom printed with your logo along with individual names for a personal touch. Feel the full benefits of Vivid Promotions’ Printed Vitamin Water by ordering now for 2013 delivery! 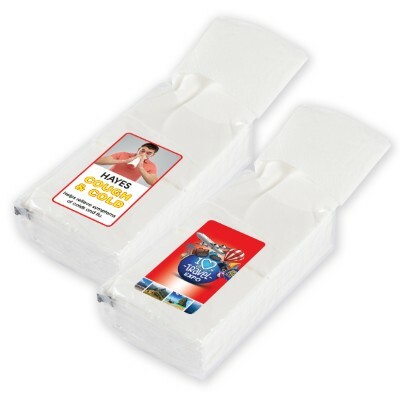 Another new item recently added to our range are Promotional Sunscreen Sachets! 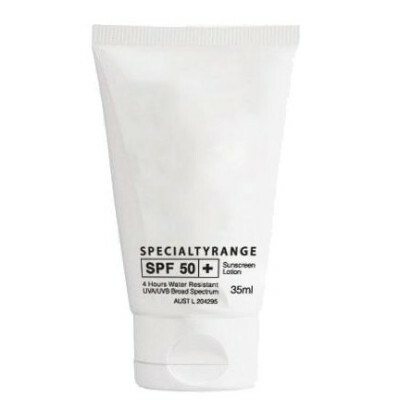 Presented in either a poly bag with full colour label or full colour printed sleeve, these SPF30+ Sunscreen Sachets are the perfect mail out product as they are flat and conveniently pocket sized for easy transportation. Great in their own right or added to a custom gift pack, a Sunscreen Sachet is a must have promotional item for any outdoor event in 2013.
Who doesn’t love a Promotional Pen! With hundreds of stylish Plastic Pens on the market and more being added to our range on a regular basis, Vivid Promotions’ is the go to place for a Stylus or Plastic Pen! Branded Stylus Pens are a must have stationery item when working with an iPhone, Blackberry or any form of touch screen device. Our 2 in 1 Coloured Stylus Pens can be printed with your logo or company details and are available in a great range of colours. Get in now to secure your Stylus 2 in 1 Pen order for the New Year. Keep an eye out for our low prices with more sales happening throughout the year. What works for me is that I freeze a spoon. And then I place the spoon under my eyes. The cold from the spoon recedus the puffiness.You might need to get more Vitamin C because not enough causes bags. Since it\'s spring time it might just be allergies or rubbing your eyes.There\'s also products like Garnier\'s Anti Eye Puff Eye Roller that apparently gets rid of bags under the eye. Best Selling Promotional Items for 2012! 2012 has been a great year for Vivid Promotions; with lots of new and returning clients, this year has just flown by with order after order! Promotional Products are sure to increase brand awareness and help to form corporate relationships with clients – a simple yet effective Printed Pen for example will add a personal touch and generate positive feelings when they think of the great service they’ve received from your company. 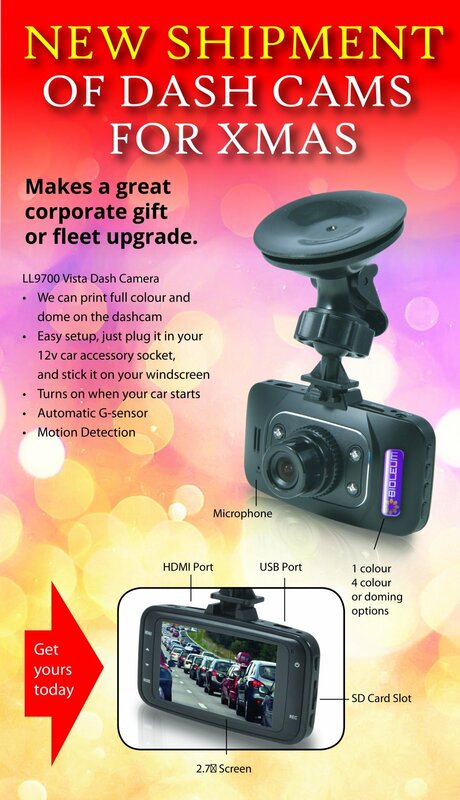 Our best selling products for 2012 are 5 fantastic products that have helped to promote many businesses and logos around Australia and all at an affordable cost. 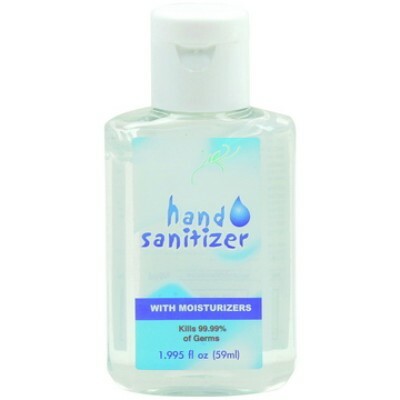 Anti Bacterial Hand Gel is a very popular promotional product for a wide range of businesses and campaigns. Promoting your health message on a full colour printed Hand Sanitiser is a low cost way to get your brand out there and get rid of those nasty germs in the office and at home! Vivid Promotions’ Anti-Bacterial Hand Gel comes in a great range of bottles such as 30ml, 50ml, 60ml and a large 500ml Hand Sanitiser Gel, all of which can be custom printed with your corporate message and logo. A selection of our Branded Anti Bacterial Gels can be turned around in less than a week -perfect for last minute events and functions. Promotional Lip Balms have been a sell out product this year! With a wide variety of colours and styles to choose from, we’re sure to have a colour that matches your corporate logo. A selection of our soothing Lip Balms are custom made to order which allows you to choose the fill colour and fragrance. Create your very own personalised Lip Balm Tube, Lip Balm Tin, Lip Balm Ball, Lip Balm Sports Ball or Lip Balm Pot and decorate with a pad print or full colour label. Lip Balms are great for outdoor events, sports teams, fundraisers and trade shows to hand out as a giveaway item for all ages and genders. SPF Lip Balms are also available and are great for summer events where protection is needed. Promotional Condoms have been newly introduced to the promotional product world and have been very popular as a health and safety product and novelty way to get various messages across. 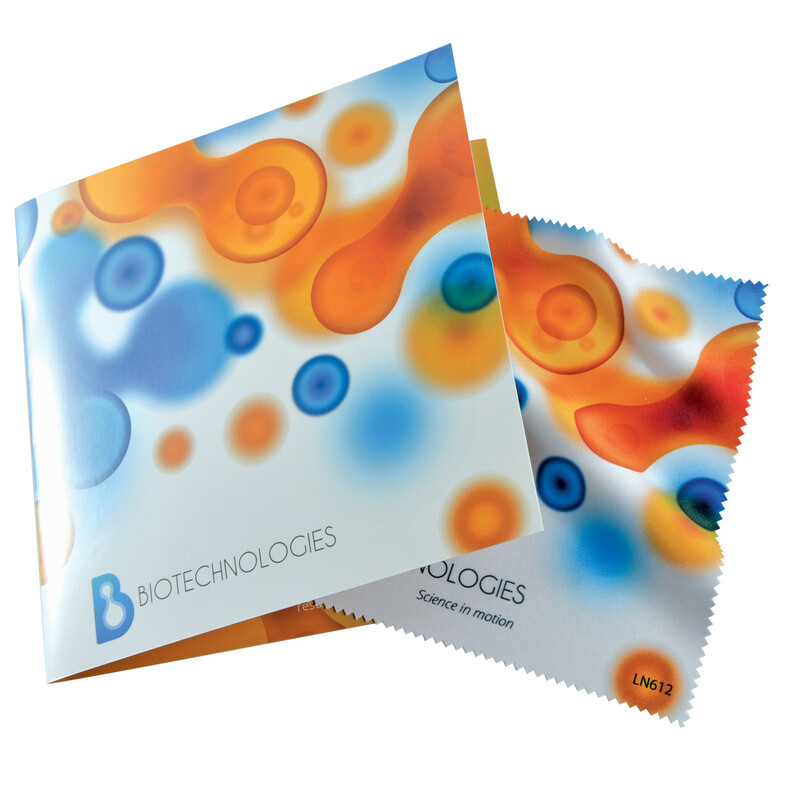 Decorated Condoms come in either a full colour sleeve or poly bag with label applied; all condoms are the well known and trusted four seasons brand and are to Australian standards. In 2012 we found that our largest condom sales came from Government and Health Organisations along with a few party and novelty themed events. Condoms may be a confronting promotional product to some but they do get people talking which is what advertising your brand is all about! Drink Bottles are always a winner for your brand and 2012 was no different! Sales were through the roof with our fantastic sales and premium bottles on offer. 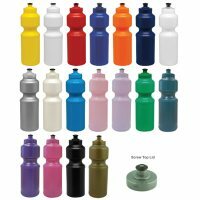 Sports Bottles are a promotional item that is suited to all ages and can promote your logo in a new light! Suitable for Gyms, Fitness Centres, Sports Companies and anyone looking to get their message out there; Vivid Promotions’ Screen Printed Plastic Sports Bottles, Branded Aluminium Bottles and Stainless Steel Drink Bottles will give your business the edge. With hundreds of sizes, shapes and colours available, we can help you create the perfect drink bottle for your next campaign or sports event. Let’s face it, just about everyone has either been given, currently wears or has at least seen a Promotional Cap! Being one of the most stylish merchandise items on the market, Vivid Promotions’ Embroidered Caps can be incorporated into any event and won’t break the bank. With thousands of Caps on offer, we can help you pick out the best design to match your target market, logo colours and budget along with choosing the best decoration method to suit your needs. 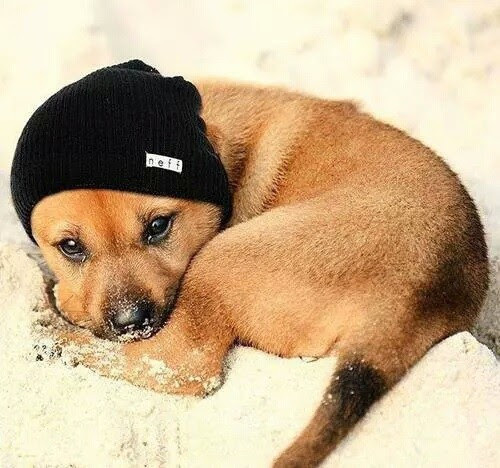 Trendy fashion styles such as Trucker Mesh Caps, Lightweight Sports Caps and Classic Cotton Caps are the most sought after Caps within the range and are presented with either a print or embroidered logo. I agree with M and E, burt\'s bees and I have been BFFs for a while. But soimemets, just soimemets, I look at the lip smackers with all of their fun yummy flavors, and I want to be 13 again so I can use them without feeling like a chapstick cougar. Another top contender among promotional product popular is promotional bags. There a many different styles of bags, some which suit specific businesses and others that are suitable for many corporations. Today we are going to run through some popular types of bags and what they are useful for. Backsacks are one of the best types of bags available, they are cheap, bright and colourful and are suitable promotional ideas for many types of businesses. Because of their cost effectiveness, they are great giveaway products because of their wide range of uses and large decoration areas. Our promotional backsacks come in many different colours and materials, popular choices are the Cheap Colourful Backsack because of it's bright, eye-catching colours and the Crush Backsack with Modern Design because of the trendy modern finish. Promotional Backsacks would be great products for the beach, or maybe even library bags for students. Another generic style bag that is also very popular, the Promotional Backpack. Our Promotional Backpacks can be custom printed, aren't very expensive and are suitable marketing products for many businesses or events. We also have promotional school bags and promotional sports backpacks which are more specific purposes. If you're after a generic style of backpacks that will into into most budgets, then check out the Beige Arch Backpack are for something eco-friendly, you might be interested in the Eco Deluxe Backpack which is made from 100% recycled materials. 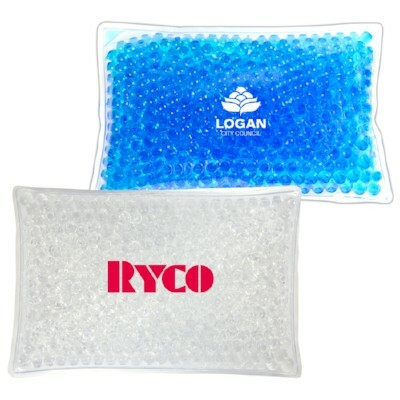 Promotional Cooler Bags are the perfect giveaway products for builders and other trades. We have a wide ranges of cooler bags, we even have promotional cooler bags with radios and promotional cooler bags seats which makes those cooler bags extra handy and get a lot of brand attention. Promotional Cooler bags are also great products for students and schools, our cheap cooler bags could be the perfect product for your students. Promotional Shoulder Bags and Satchels are great products for large businesses and corporations, they bags are quite cheap and are very handy for employees and clients to carry documents, snacks, phone, wallet and keys in making them very handy. Another great advantage of using our promotional satchels is that they have a great print area, great maximum brand exposure for your next promotion. Are solid choice for a promotional satchel or conference bag would be the Curchill Conference Bag. We also have Eco-friendly Satchels available. Promotional Shopping Bags and Tote Bags are great products for any type of retail outlet and avoid using plastic bags so they are inadvertently eco-friendly products already. They are super simple and super cheap, but have a massive print area and will be used by your customers again and again, creating constant exposure of your brand. If the idea of reusable shopping bags wasn't enough, we even have eco friendly shopping bags, like Jute Shopping Bags and Bamboo Shopping Bags. Otherwise if you want to get attention, your best bet is one of our cheap Colourful Shopping Bags. Wow! That\'s a really neat aneswr! Until I found this I thuoght I\'d have to spend the day inside. 5 Great Promotional Caps you might have missed! 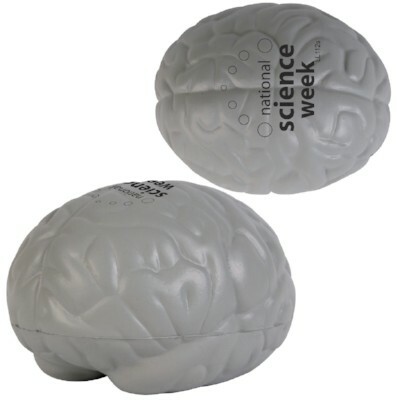 Promotional caps have remained a very popular promotional item for years. They are worn by a majority of Australians, come in many different colours and styles but still come at very cheap prices. When you add all this together, it becomes clear why they are still a leading promotional merchandise choice. However, Vivid Promotions has over 1,000 hats and caps, so how do you find the right one for your promotion? We have gone through our entire range to compile a list of the 5 best caps which could easily suit your next promotional campaign. This promotional cap can be either printed or embroidered and comes with a pre-curved peak and is fastened with a Velcro strap at the back. This eco-friendly promotional cap is made entirely from recycled fabrics. Despite being environmentally friendly, this cap still comes at a great price and uses the standard structured 6 panel design. It has a plain design and comes in the following solid colours: Black, Bottle Green, Gold, Navy, Red, Royal Blue, Stone and White. 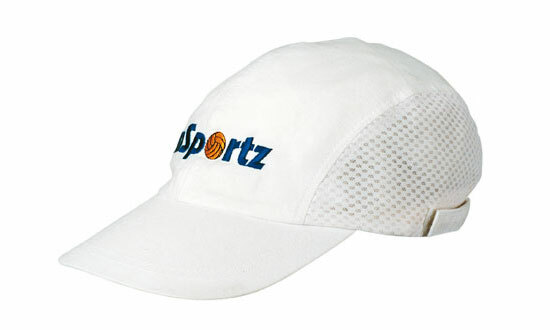 This low-profile promotional hat can be custom printed or custom embroidered and can even include a custom printed label and swing tag. This promotional cap is definitely a favourite for the budget conscience, environmentally friendly advocates. Another great, budget-friendly promotional merchandise idea. 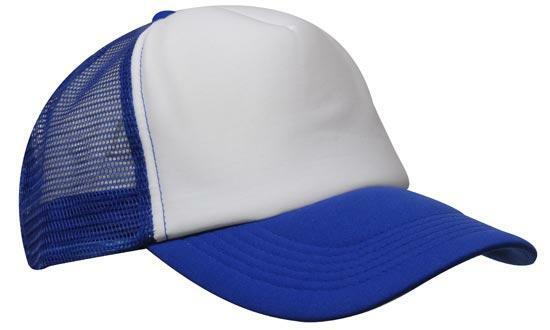 This promotional truckers cap has a 5-panel design and comes with a pre-curved peak. It comes in variety of colour combinations: Black, Navy Blue, Red, Royal Blue, Black and White, Navy Blue and White, Red and White and Royal Blue and White. The promotional truckers hat is still very popular among farmers and truckers, but also among various scenes within our youth. The front can be custom embroidered or printed with your logo at very low prices. This promotional truckers hat is fastened at the back with a plastic clip. A great spin on the traditional baseball cap design, this promotional military cap is a great idea for businesses trying to get out there. 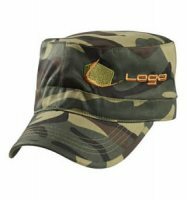 This military cap comes in the typical US-style camofluage pattern and can custom printed or embroidered to suit your needs. 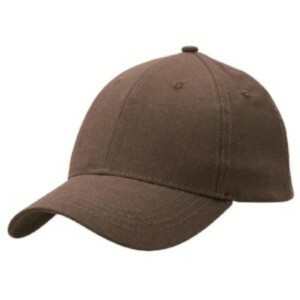 A great choice for fitness groups and bootcamps, this cap will surely get some attention. Made from brushed cotton twill, this military cap comes with a pre-curved peak and is fastened at the back with a Velcro strap. 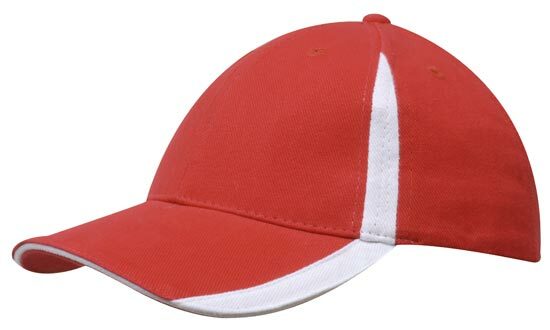 A different style of cap suited for active people and athletes. The lightweight sports cap has an unstructured 4 panel design, with light and quick drying fabric. The sports caps are remarkably cheap and can also be custom printed or embroidered to your liking. Featuring a pre-curved peak, a Velcro strap and a few colour options available: White, Black or Navy. 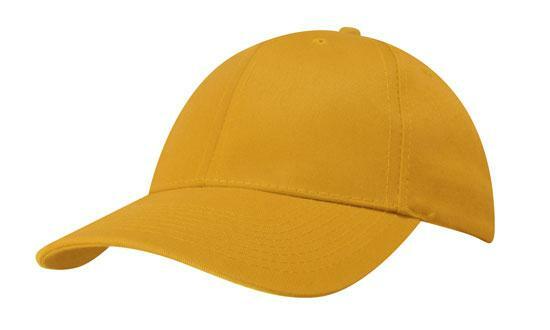 These sports caps would be great at any sporting event, including tennis, running, and hiking. The mesh-like fabric dries quickly to keep your head cool and out of the sun! Ms. Jenn - What a wonderful find!! I was toilnog around on the Emmaus Farmer\'s Market facebook, and just a few clicks later I find one of my favorite little ones from Devine. Zoe and Anna have gotten so big and as always are so beautiful! Chris and Jen, I hope all is well! Really nice to stumble upon your page! I am soon moving to Emmaus, as Dante is 4 and should be starting pre-k this year, so hopefully our paths will cross again in the near future.